We’d love your help. Let us know what’s wrong with this preview of Creating a Forest Garden by Martin Crawford. To ask other readers questions about Creating a Forest Garden, please sign up. 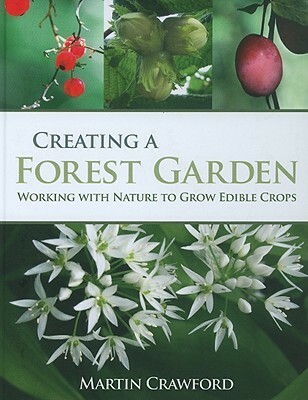 If you want to create your own forest garden then this is essential reading. With this book, I've upgraded my knowledge of horticulture. Great book. Can't wait to start planting trees! I got this through ILL, hoping to get some idea of what forest gardening actually was, how it compared to the vague idea I got of the "permaculture" concept from perusing Dave Holmgren's Permaculture: Principles and Pathways Beyond Sustainability, and what the state of the art was at the moment. I was also thinking of using it to inform a feasibility study assignment for a class I didn't end up taking, regarding a potential garden at Lawrence's Bjorklunden 'campus.' I don't have time to actually I got this through ILL, hoping to get some idea of what forest gardening actually was, how it compared to the vague idea I got of the "permaculture" concept from perusing Dave Holmgren's Permaculture: Principles and Pathways Beyond Sustainability, and what the state of the art was at the moment. I was also thinking of using it to inform a feasibility study assignment for a class I didn't end up taking, regarding a potential garden at Lawrence's Bjorklunden 'campus.' I don't have time to actually read much of the book now, since I'm overloading and having a lot on my plate, and thankfully I don't really need to, and don't really have much use for the knowledge atm. However, it looks like a great resource. We are planning a forest garden, and had already read and enjoyed Patrick Whitefield's How To Make A Forest Garden. We then went to visit Martin Crawford's site and were blown away by seeing the reality of a Forest Garden in full production. We bought a copy of Martin's book from him after the tour, and barely a week has gone by in the year or so since purchase, that we haven't referred to it - it is truly a bible of Forest Gardening, an immense reference book to be picked up again and again. We h We are planning a forest garden, and had already read and enjoyed Patrick Whitefield's How To Make A Forest Garden. We have even spent whole afternoons wandering around garden centres, cross-referencing the trees and plants available against the book. The book is split into chapters by layers of the Forest Garden, with abundant information on a vast number of species, numerous useful tables listing plants by use, and heaps of additional information on things like site surveying, propagation and pest management. I have been reading this book for a year, and only last week found a sun compass page that I had never seen before. We are planning a reasonably sizeable forest garden of around 1/3rd acre, but we have also used this book to plant up a 10' x 4' patch on our allotment as a multi-layered mini forest garden. What I love about this book is it's accessibility and warmth. I'm new to permaculture and forest gardening and got this book as a birthday present from my dad. I like to dip into this book, a lot and use it as a What I love about this book is it's accessibility and warmth. I'm new to permaculture and forest gardening and got this book as a birthday present from my dad. I like to dip into this book, a lot and use it as a great reference book and for little gems of info needed on the hop. I've become involved in a local permaculture demo garden project and we are usually leafing through this book for some info we need. I'd like to incorporate more of the forest gardening principles into the project and my own garden on a smaller scale. If you're just starting out, Creating a Forest Garden is the best book to plan your forest garden with. It simplifies the ideas behind forest gardening and is based on the author's 15+ years of hands-on experiences in his own forest garden. I docked a star because so much of the book is species lists, which are problematic for beginners. First, they get folks too excited! Second, each species' use is very location-specific, so the information in the book might not be accurate. 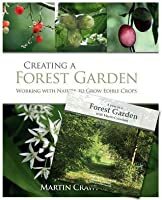 Since we've been exp If you're just starting out, Creating a Forest Garden is the best book to plan your forest garden with. It simplifies the ideas behind forest gardening and is based on the author's 15+ years of hands-on experiences in his own forest garden. 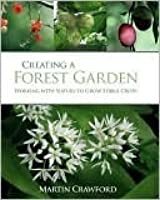 A comprehensive encyclopedia on designing and growing a forest garden...A garden that resembles a woodland and is peopled with edible plants (for the most part not vegetables) shrubs, and trees, as well as plants that provide soap, ink, basket weaving materials, dye, etc. Has, as far as I can see, every thing you'd need to know to set up this sort of garden, including discussions of planning for wind, sun, shade, space, nitrogen and potassium levels required or output by different plants, etc. As A comprehensive encyclopedia on designing and growing a forest garden...A garden that resembles a woodland and is peopled with edible plants (for the most part not vegetables) shrubs, and trees, as well as plants that provide soap, ink, basket weaving materials, dye, etc. As such I'd recommend this book only for someone who has a plot of land that they can put in a several year project on, as this sort of garden will take a lot of planning and will take several years to be really productive. I favor this over his other. Crawford has a lot of experience. He actually plants and eats this stuff. He has so much land, however, that his methods fail the small-area farmer. He poo-poos folk who are frustrated by comfrey takeover -- but when you have acres at your disposal you're playing a different game. My land is a postage stamp. Worth reading (especially for ideas of what's particularly tasty) but not great for little-forest growers. The ideas contained herein, which will become increasingly popular in coming years are basically the theory for organic, productive ecological garden design and management. They are not new but are the brainchild of Robert Hart, who gardened this way from the 1970's onward in Shropshire, the English Midlands, with the additional work of Ken Fern amongst others. Purchased this book after I borrowed a library copy. I really loved the books layout style. Clear to understand. Lots of useful information. 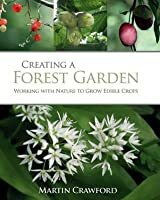 Great resource of how one would go about creating your very won forest garden. I certainly hope to get a nice plot of land some time in the future. This book will be the accompanying the process. From an English gardener, so the extensive reference section on plants is not much help. I LOVE this idea and want to know MORE, MORE, MORE about it! We should plant native plants that are happy and tough and create a garden that essentially takes care of itself. I'd like to see a tidier version though. What a resource! Hopefully someday I'll actually have the space to revisit this book and put some of the advice to use. I still really enjoyed reading about the design elements of intentional forestry for food production and all of the notes on plants familiar and obscure. There are many new things I'll be on the lookout for at the farmers markets. This is the best book I have read on the subject so far. Comprehensive, concrete and down-to-earth. Everything you need to know in order to create your own food forest. At least in UK, although it's fairly applicable to other parts of Europe. Crawford is in the temperate climate of the UK so some of plant species choices wouldn't work for me here in MN. But still, this is a very readable and thorough look at establishing and maintaining a forest garden. Loved this book! I'm in the middle of making my own "Forest Garden", and Martin is a perfect guide - knowledgeable, authentic, interesting. And the pictures are very helpful. Fabulous book but unfortunately for written for the UK. Very informative and easy to understand. Very informative, but not really practical for an urban environment unless using vacant lots. A very good introduction to forest gardening; however, it is a UK-based book, so the plant recommendations that take up a lot of the book do not work for me in SD. Lots of good information, though. Always exciting to find a gardening book relevant to your climate. Lots of pictures and plant descriptions and tables for useful plants.